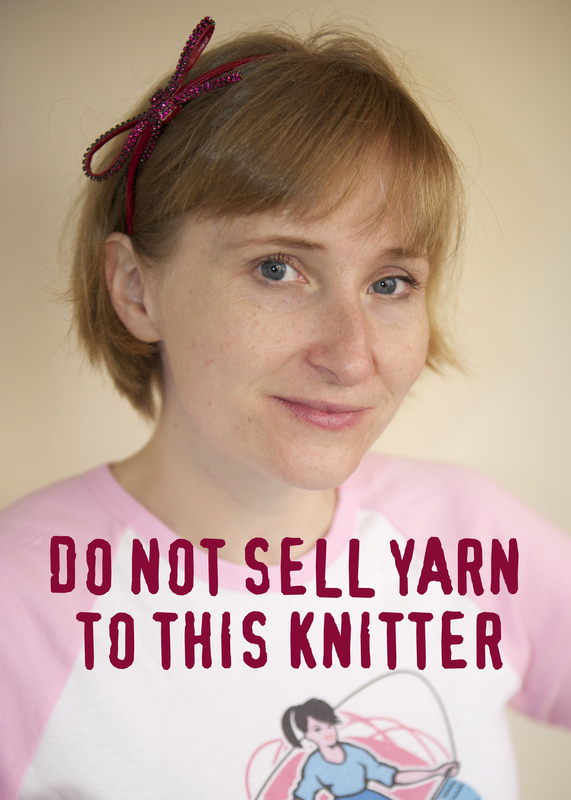 I’m thinking about sending this flyer around to the local yarn and fibre stores nearby. Clearly I cannot be trusted to refrain from purchasing yarn upon entering a yarn store. Buying yarn and fibre is good in small doses, but lately I’ve lost a bit of self-control. I’m not going to name names or make any assertions but I know what my weak-spot(s) are when it comes to stash enhancement. Oh yes, there are several, and when they work together they equal YARN PURCHASE. 1. New Yarn – This is a biggy. I like to experience new things, experiencing new yarn gives me so much joy in a safe and comforting way. I don’t need to jump out of a plane to give me an adrenaline rush, just give me some yarn I haven’t seen before. 2. Limited Edition Yarn – Hello Wollmeise. This also includes souvenir and birthday yarn. It’s my one and only chance to purchase this yarn, I may never see it again, if I don’t buy it now I’ll miss out and I’ll be poking myself with dpns wishing I had. 3. My Favourite Colours Yarn – Pinks, greens, purples and blues; you know who you are and you clearly know who I am, because you’re singing out to me as I enter a yarn store. If you are a yarn store, or thinking of opening one up, there is your recipe to make me beholden to you. Feel free to disregard my trigger points after all I have my own yarn store at home, I’m not that desperate to buy, much. I’m going to try very hard to not purchase any yarn or fibre until the Bendigo Show. That’s less than three months away. Wish me luck. Good luck Sonia! I know you can do it! Thanks Emma! You have more faith than me!